What happens when the rules change more quickly than your standard-bearer SUV? That’s the question Mercedes-Benz faces in the luxury sport-utility segment, which the automaker joined with the 1997 launch of the ML-Class. When the ML-Class came out, Benz promised it would offer Mercedes quality at the price of a Jeep Grand Cherokee or a Ford Explorer. Both turned out to be optimistic targets, and the first ML-Class, though priced below $40,000 well equipped, faced questions about its quality from the beginning. It also faced an onslaught of competition. In the years since the ML-Class bowed in 1998, some 21 other entries now competing with Mercedes have significantly redefined the segment. 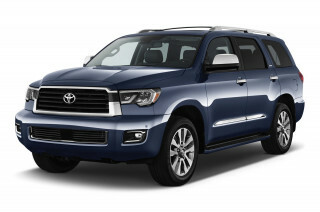 The game in the mid-size SUV class has changed as a result. 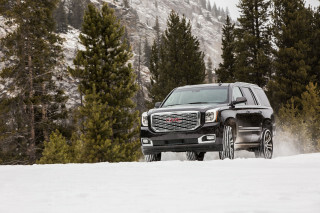 With the first ML-Class, the emphasis was on truck-like, off-road performance, rather than the luxurious trappings of a luxury sedan. 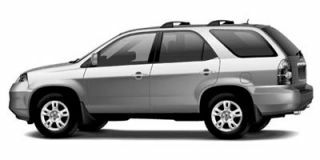 Recent entries, like segment leader Lexus RX330, have flipped that formula, passable off-road performance offset by all the trappings of a luxury car. That’s sound logic, considering that the vast majority of luxury SUV owners ever subject their precious machines to anything rougher than a gravel road. So, when we flew to southern France to test drive the second-generation ML-Class, we immediately knew it was a distinctly different vehicle than the one that had been introduced eight years before. 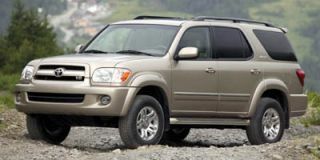 The 2006 ML350 and ML500 are more than just updates, they are entirely new animals, as distinctive technically as they are visually from what came before. The original ML-Class was tall, boxy and to our eyes, a bit ungainly. 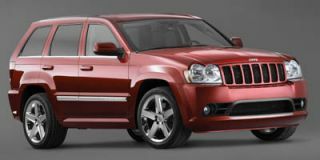 The ’06 model is longer, wider and sportier. It’s no longer a stylistic orphan, now an unmistakable Mercedes, with a far more sculpted appearance than the slab-sided original. The signature design element is the bold grille, all chrome on the ML500, chrome and black on the ML350, unless you opt for the appearance package. It’s a bit toothy, and the most controversial element of the new design. On the other hand, there’s been nothing but praise for the new, wraparound rear glass, visually pleasing — literally, for it provides exceptional rear visibility. The flared wheel arches add a macho element, but when you come down to it, you can’t ignore the influence of the Lexus RX, and not just in design. 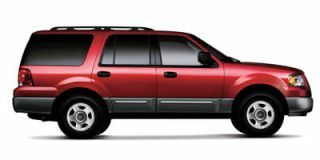 Where the original ML-Class was a classic body-on-frame SUV, the 2006 remake is unibody. Don’t rush to dismiss that move. 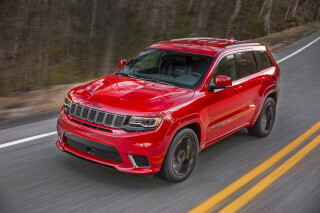 After all, Jeep’s incredibly capable Grand Cherokee has always been a unibody design. Among other things, that helped engineers shave about 350 pounds off the weight of Mercedes’ big rig, by no means insubstantial, and a definite plus when it comes to performance. A big surprise was the decision to drop the optional third-row seating package. In fact, we really think of the new ML as a four-seater. There’s a middle seat in the second row, but it’s atop a hump and now not what you’d call comfortable. Otherwise, the interior package is roomy, by every measurement, with seats truly worthy of a luxury vehicle. If you’re looking for statistics, the new model is six inches longer, two inches wider and has two inches more wheelbase than the ’05 ML-Class, and it stands an inch lower, unless you opt for the height-adjustable air suspension package. It all translates into several extra inches inside, front and back. The cargo compartment is among the larger and more spacious in the segment, though the curvaceous redesign does intrude a bit more than the boxy old ML. 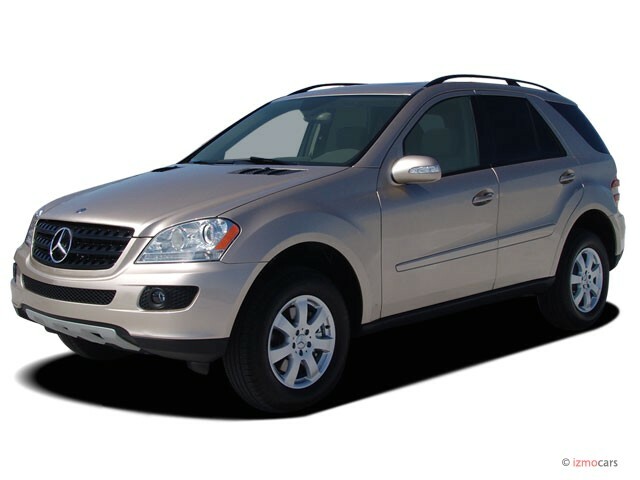 The base ML350 is a reasonably well-equipped vehicle, featuring cloth seats and aluminum trim. There are plenty of options available, including an Appearance Package that adds the all-chrome wheels and the first-ever 19-inch wheels on a factory-stock ML-Class. With the ML 500, you get that chromed grille and an upgraded interior, including leather seats, among other things. This is, of course, a luxury vehicle, and we have come to expect sophisticated “infotainment technology.” There is, indeed, a nice CD audio system, with a factory-installed satellite radio receiver. You can get a DVD player with a seven-inch screen for the rear-seat. A dual-screen package will show up within a year of launch. One of the nicest touches is an integrated Apple iPod package. It will let you plug-and-play through the factory audio system. And if you’re a real Apple junkie, there’s even an optional iPod docking station, which will charge the player while you’re driving. Unfortunately, we were not overwhelmed by the DVD navigation unit, nor the COMAND system used to control most of the onboard electronics. A new and reportedly more user-friendly control panel is on the way, though not for another year. “It is a badge of honor for Mercedes to provide new technology,” DaimlerChrysler board member Thomas Weber told us. Sure enough, but like the COMAND system and dual-screen video, not all of it will show up at launch. Mercedes is planning to add Bluetooth, permitting cellphones equipped with the technology to connect to the ute’s hands-free call system — but not until 2007. Such delays are not entirely unintentional. Mercedes officials will roll out new features, and spin-off models, on a regular schedule in order to keep the ML fresh. With that in mind, they plan to bring the next AMG version to market in June or July 2006, about the same time an off-road package, with three locking differentials and a dual transfer case, debuts. It may not deliver the go-anywhere capabilities of a Jeep or Land Rover’s top-line Range Rover, but during a brief test, we were duly impressed with its ability to navigate deep ruts, thick mud, and reasonably deep water. The real question is how the standard equipment handles life’s everyday challenges, and we got plenty of chances to find out during a couple days of driving en province, when a freak snowstorm blew through the French Riviera. Working our way down a steep mountain trail, our tires caught several patches of black ice. Our ML500 barely blinked, the combination all-wheel-drive and traction control system easily regaining grip. We were similarly impressed by the car’s grip on the snow and dirt we faced on a narrow, wooded pass. Both 500 and 350 are quicker than before. It helps to lose those 350 pounds, but the new V-6 also gains 36 more horsepower. The V-8 is incredibly smooth and quiet, though still kicking out a reassuring roar when you stomp on the throttle. The new M-Class gets Mercedes’ unique seven-speed automatic transmission. The shift-by-wire system achieves the seemingly impossible: improving both performance and mileage, which is up five percent from the gearbox alone. Shifts are normally near invisible, though we noticed on some maneuvers a bit of a slight thump during downshifts. We were surprised to see an undersized shifter on the column similar to the one in BMW’s 7-Series. It takes a while to get familiar with the shift pattern, but our bigger concern is that in the Mercedes, you can go from Park to Drive, say, or Drive to Reverse without pulling the shifter towards you. We inadvertently bumped the lever while parking and thought we’d gone into neutral. But as we slowed to a crawl, it actually shifted to reverse. A new, double-wishbone front suspension, with a double-link rear, is standard, and extremely competent. There’s surprisingly little body roll, even under aggressive maneuvers. This is not an E-Class, but it’s a major improvement over the wallowing original. The optional air suspension provides a variety of different ride heights, and automatically hunkers down at highway speeds. 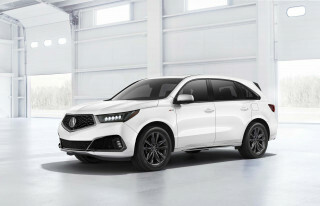 As Dr. Weber boasted, there is plenty of new technology onboard, starting with an all-new, power liftgate, and the keyless entry and ignition system. There’s also a full alphabet soup of traction and safety hardware: Electronic Traction Control, or ETS, a system called start-up assistance, Brake Assist, and so on. The ML now gets Pre-Safe, a system first introduced on the S-Class a couple years back, which takes several steps if it senses a loss of control, adjusting headrests, tightening seatbelts, and closing windows to prevent a possible passenger ejection. Overall, it’s hard not to like the new Mercedes ML-Class. There are flaws, but relatively few. 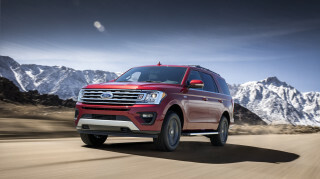 With the second generation, the emphasis is more on sport than utility, but it’s flexible and functional enough for all but the most demanding off-roaders. And it’s a lot better looking, despite the dental grille. Price will also be a plus, Mercedes expecting to launch the American-made ML350 at somewhere below $40,000, the ML500 in the high-$40,000 range. Mercedes needs to regain momentum for the ML-Class, which has seen competitors steadily erode sales and market share. 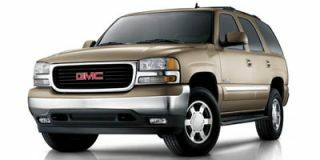 The old car’s volume peaked at 52,764 in 2000, and has been selling in the mid-30,000 range recently. Quality is one factor we’ll have to wait to report on. The original ML-Class suffered from a variety of “concerns” according to J.D. Power & Associates, and company officials insist it’s their top priority on the new ute. We’re reasonably confident the automaker will succeed. It’s certainly done well with the rest of the new ML-Class. The ’06 model won’t create an all-new segment, but it should raise the bar again. nice ride , cant trust it not to strand me as it has done 3 times !